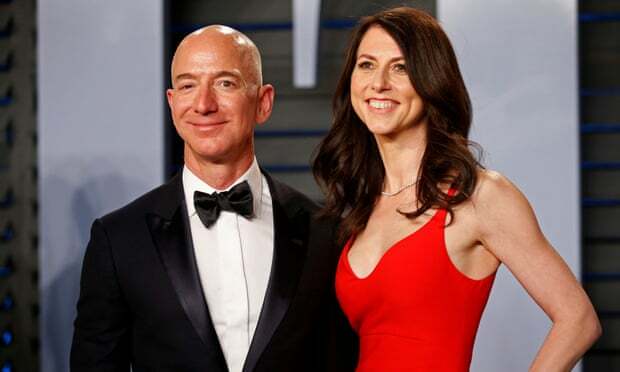 Jeff Bezos, the boss of Amazon and the world’s richest man, has announced his divorce from MacKenzie, his wife of 25 years. 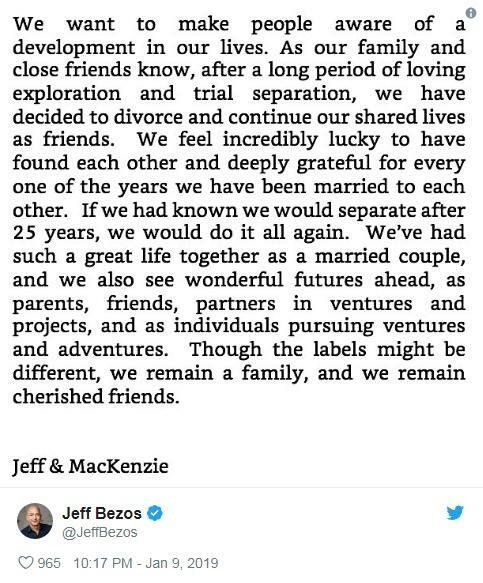 Bezos, who married MacKenzie in 1993, a year before he started Amazon from his garage in Seattle, broke the news of the split in a tweet signed by both of them. 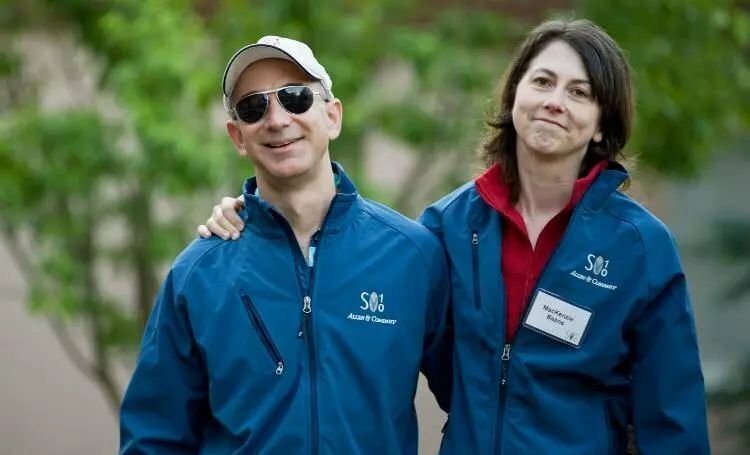 Bezos, 54, who has built up a $137bn fortune, said they had decided to split up after a “long period of loving exploration and trial separation”. The couple, who have four children (three sons and a daughter), vowed to remain “a family” and “cherished friends”. If they split their assets equally, MacKenzie could become the richest woman in the world overnight. Her half-share of the combined fortune would be $68.5bn, which would put her fifth in the world rich list. The current richest woman is Françoise Bettencourt Meyers, heiress of the L’Oréal empire. The couple met at New York hedge fund DE Shaw when he interviewed her for a job at the firm. They got engaged within three months of meeting, and after another three months they married. 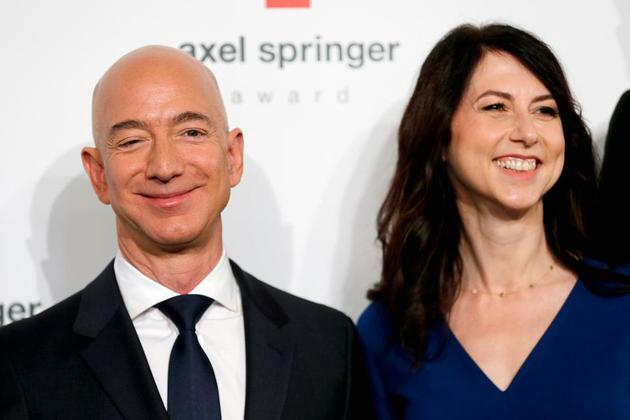 Shortly afterwards Bezos told her his idea for selling books over the internet, and while admitting she had “no business sense whatsoever” MacKenzie said she could see “how excited he was” and agreed they should leave New York for Seattle to explore his idea. 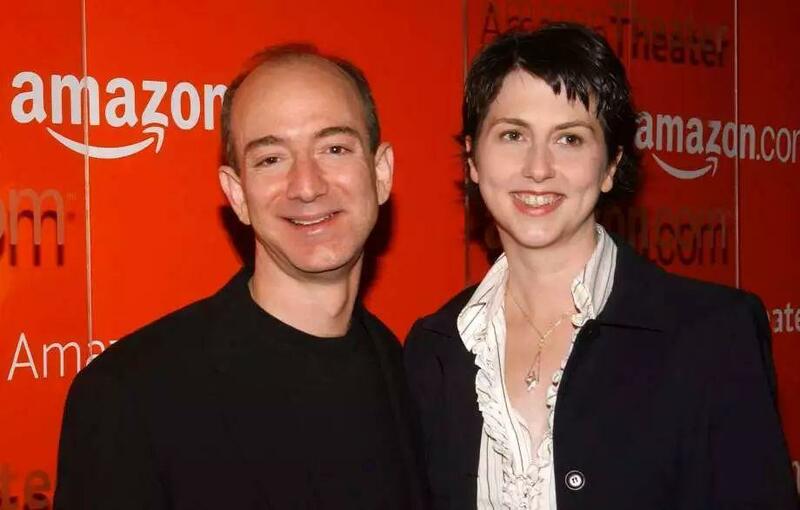 Until he met MacKenzie in 1993, Bezos had attempted to apply analytics to finding love. He called it “women flow” and reckoned he could increase his attractiveness to women if he took up ballroom dancing. 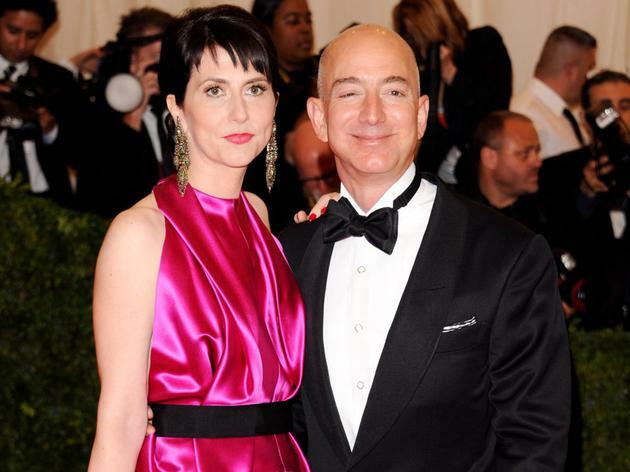 MacKenzie, a novelist and founder of anti-bullying group Bystander Revolution, told Vogue that it was she who had chased Bezos and not the other way round. 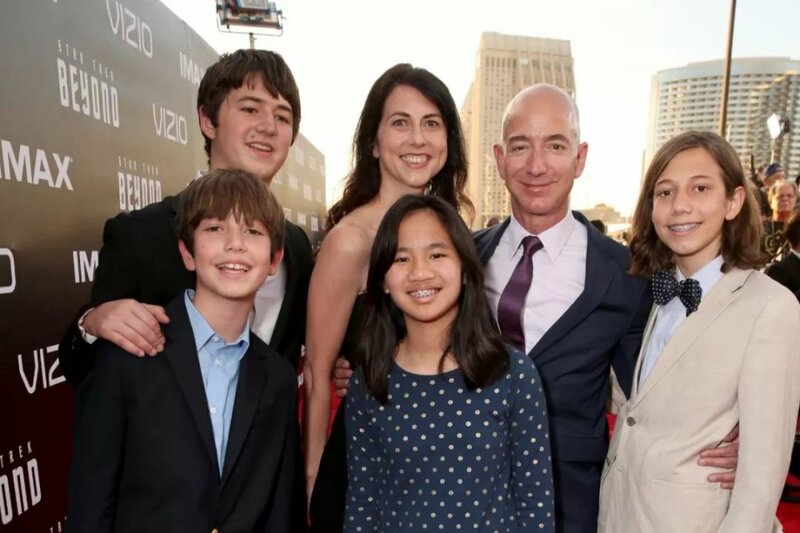 Bezos told Vogue his wife was “resourceful, smart, brainy and hot, but I had the good fortune of having seen her résumé before I met her, so I knew exactly what her SATs [high school exam results] were”. 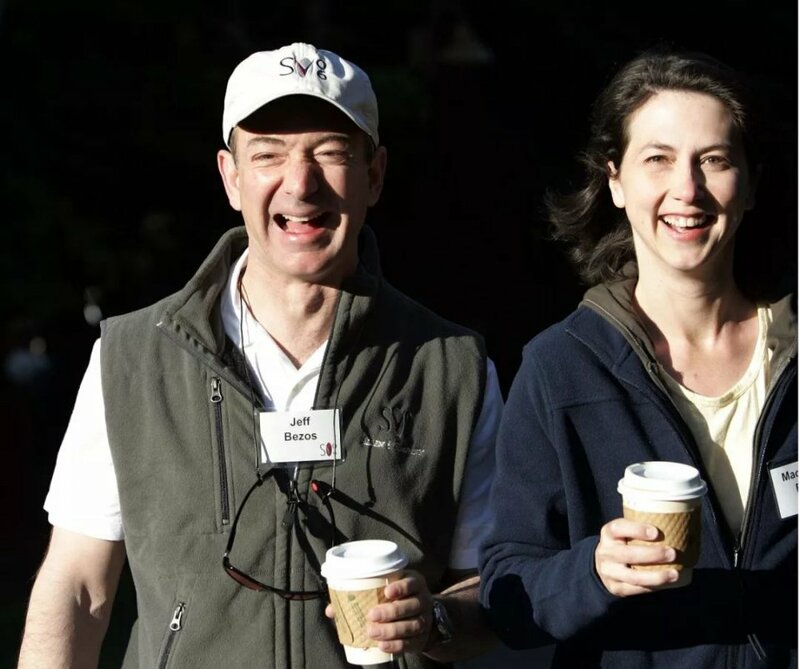 The announcement of their decision to divorce comes three days before Bezos’s 55th birthday, and two days after Amazon rose to become the world’s most valuable company with a stock market value of $797bn. 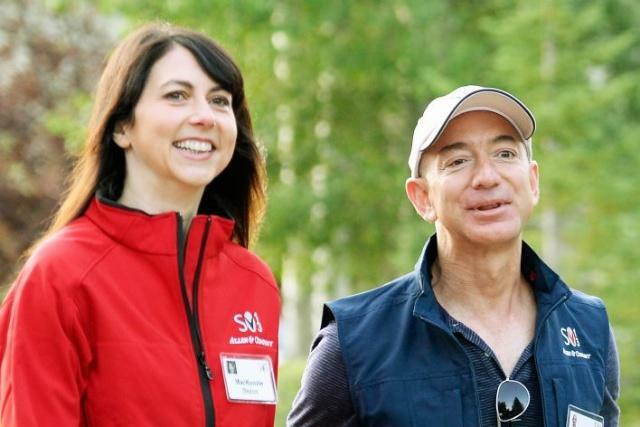 Bezos still owns 16% of Amazon, which together with his space exploration company Blue Origin and a large property portfolio, makes him the richest person in the world with a “net worth” of $137bn. His wealth has increased by $12bn (or nearly 10%) so far this year as Amazon’s shares have rallied strongly. He has enough wealth to cover Britain’s budget deficit twice over and still have change. 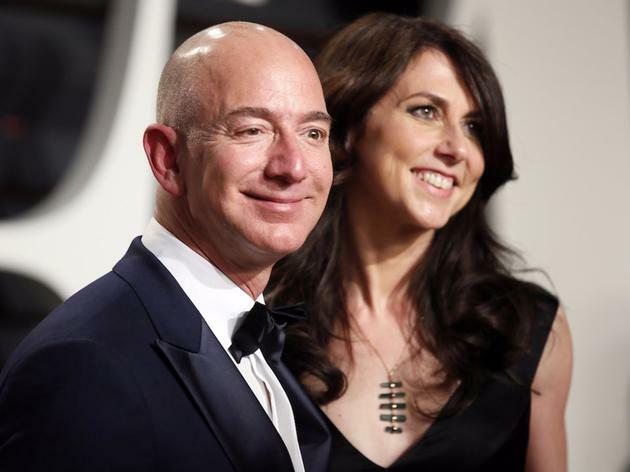 Washington state, where the couple and Amazon is based, is a community property state, which means all property acquired during a marriage “will be divided equitably by the court if the couple cannot negotiate an agreement”.